Do you have leftover salsa? A can of beans and some frozen corn? Well once you chop up an onion and throw in some chicken you’ve made dinner! 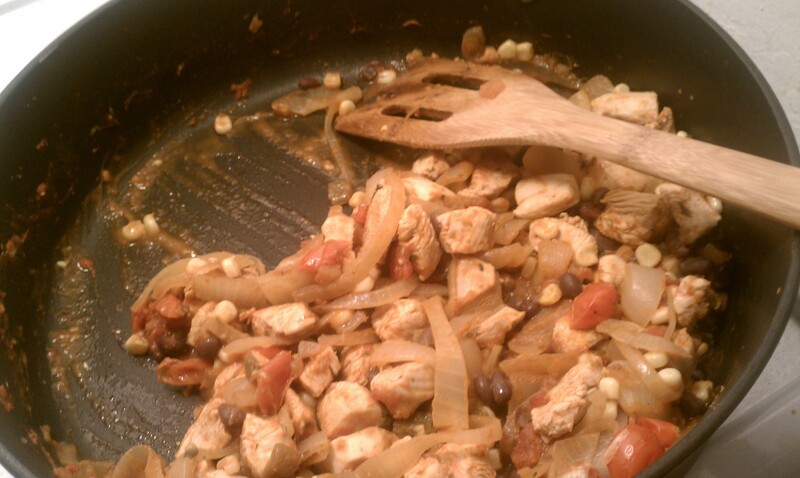 Then simply add in some corn (I use frozen), black beans, sliced baby tomatoes, sliced chicken, and your leftover salsa. Cook all together and add any of the following depending on your taste preferences: Cilantro, lemon, hot sauce and/or red pepper flakes.